Being a makeup junkie my makeup is EVERYWHERE, seriously, it takes about a quarter of our 800 sq. ft. codo. But hey, what am I supposed to do? I love makeup! As a junkie I am always organizing and cleaning my collection as I do this I am always on the lookout on products that would make everything look clean and neat. If you want to see how I store all my makeup click here. I love these acrylic makeup organizers from Byalegory, they come in a variety of styles and colors. The organizers are very sturdy and very well built. It will surely protect your valuable products. I chose the lipstick, lipgloss and compact clear organizers (i like the clear so I can see what I have and it matches with the existing organizers in my makeup armoire). 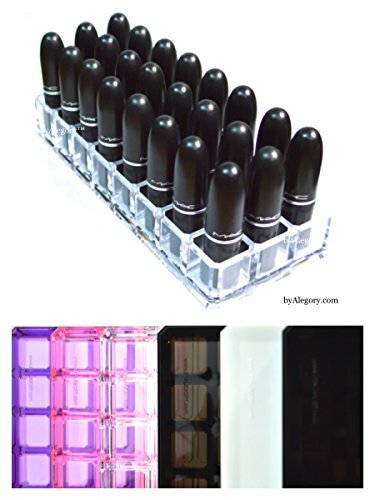 Lipstick Organizer - I filled mine with all MAC Lipsticks including the ones in the black bullets and limited edition ones (I LOVE LIMITED EDITION PACKAGING!). will fit any size of lipstick. Even room for bigger lippies if you have fatter tubes. Tube stands firmly in the allocated square. 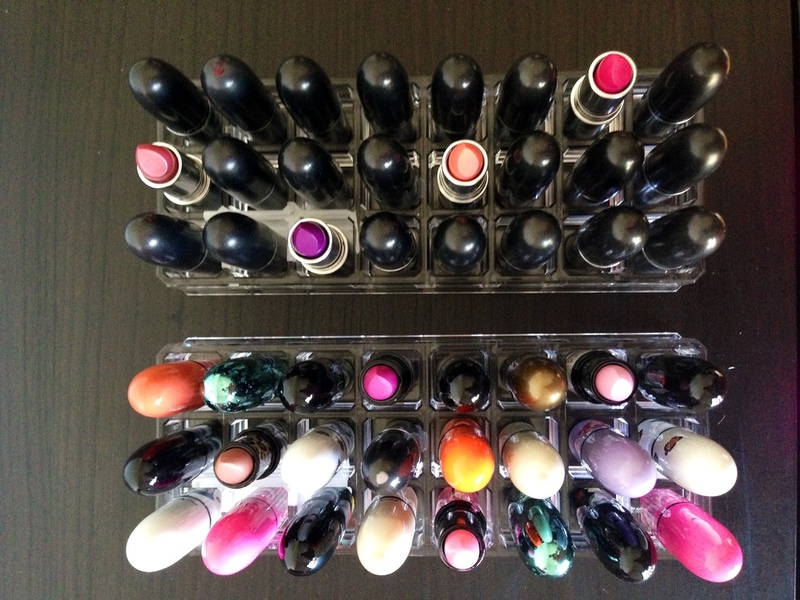 Each single lipstick holder is about 1 in. x 1 in. 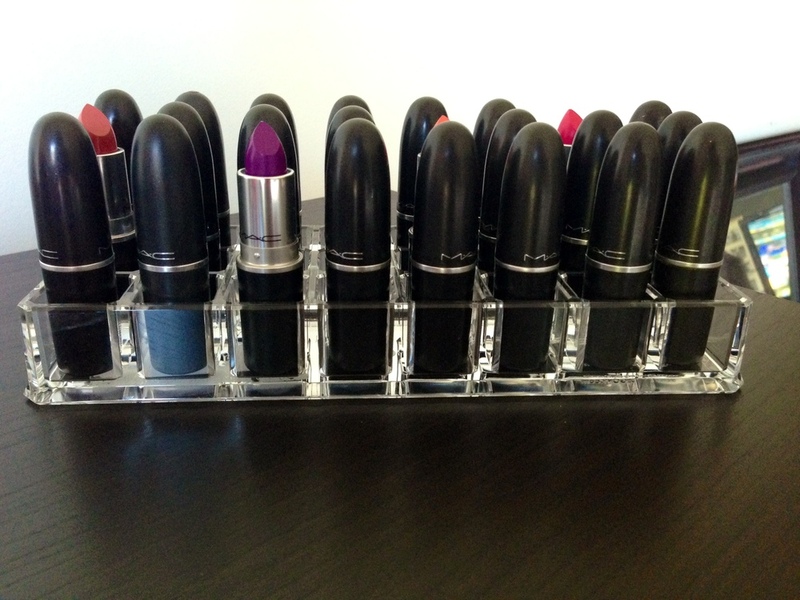 Compact Organizer - Filled with MAC Mineralize Skinfinishes and limited edition products colour face products. Lipgloss Organizer - Filled with Revlon Colorburst Matte and Lacquer Balms along with Revlon Just Bitten Kissable Balm Stains. I have reviews on all these products, just click the links. 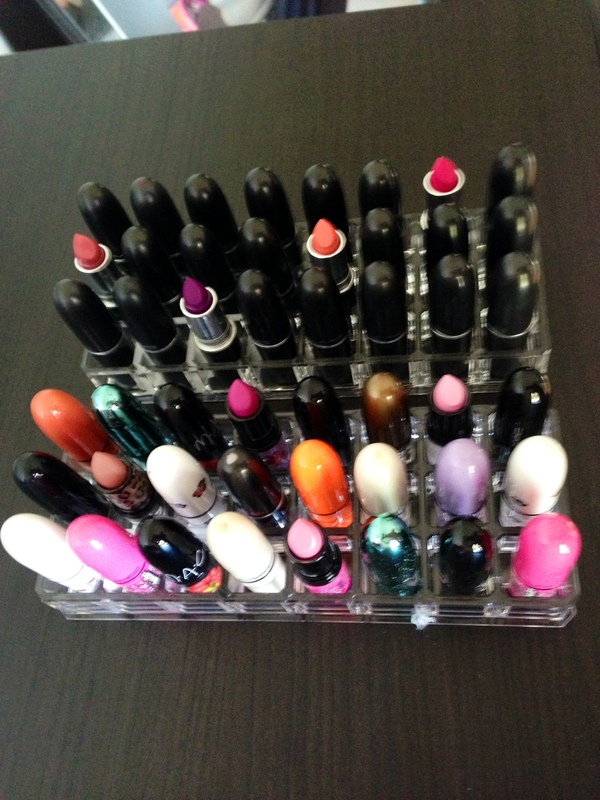 I am so happy I ordered this organizer because it fits the Revlon Balms and Stains perfectly! I have pratically all the shades stored in a ziplock bag so this was nice to have to organize all of them. I think I need 2 more of these for my favorite lip glosses to have a new home. single gloss slot about 2.75 "in. x 1" in. You can purchase these organizers from AMAZON and it's PRIME ( I LOVE PRIME!) Just click the link below to start shopping! 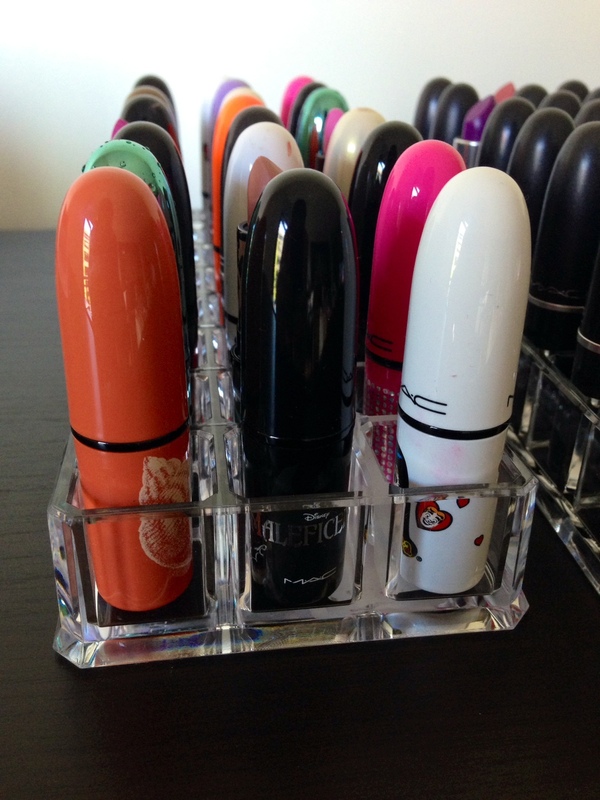 Have fun organizing your makeup, beauties!